Following Galaxy Note 7 disaster, the Galaxy S8 series could be Samsung most important launch to date. It has to restore consumer faith in the South Korean company and make up for billions in lost revenue. It’s a big ask, but it’s well-prepared. Samsung has gone to great lengths to make the Galaxy S8 and the Galaxy S8+ the best they can be. These handsets define what a flagship smartphone should be in 2017, and they have all the ingredients necessary to combat the much-anticipated tenth-anniversary iPhone. It starts with gorgeous designs made up of curved glass and a metallic frame that holds everything together. Samsung has done away with its physical home button and reduced the size of its bezels as much as possible to make room for what it calls the Infinity Display. It’s a Super AMOLED panel that Galaxy fans will already be familiar with, only this time, it has beautifully rounded edges, and it takes up over 80 percent of the space on the front of the phone. They also pack more pixels to account for the taller aspect ratio. Galaxy S8 has curved glass front and back. Rather than using a standard Quad HD resolution of 2560×1440, the Galaxy S8 series uses a 2960×1440 resolution for what Samsung calls WQHD+. This results in 568 pixels-per-inch on the 5.8-inch Galaxy S8, and 531 pixels-per-inch on the 6.2-inch Galaxy S8+. In comparison, the iPhone 7’s 4.7-inch screen with a 1334×750 resolution offers 326 ppi, while the iPhone 7 Plus with its 5.5-inch 1920×1080 screen offers 401 ppi. What’s really impressive about the Galaxy S8 series, however, isn’t how many pixels it is packing; it’s how Samsung jammed all those pixels into handsets that are still small enough to slip into your pocket. Despite their significantly larger screens, the Galaxy S8 is only 1mm wider and 0.9mm thicker than the iPhone 7. The Galaxy S8+, on the other hand, is actually 4.5mm narrower than the iPhone 7 Plus, and only 0.7mm thicker. The Infinity Display leaves just enough room for a front-facing selfie camera, and an iris scanner that allows you to unlock the device just by looking at it. The fingerprint scanner also remains, but it has been relocated to the back of the device alongside the camera. Both devices are powered by Qualcomm’s latest Snapdragon 835 processor, or a Samsung Exynos 8895 chip if you live outside the U.S. They are combined with 4GB of RAM, 64GB of internal storage, and a microSD card slot. The same 12-megapixel camera with Dual-Pixel technology found in the Galaxy S7 has been used again this year, but Samsung assures fans it has made it even greater with improvements to its software. It was already one of the best smartphone cameras. 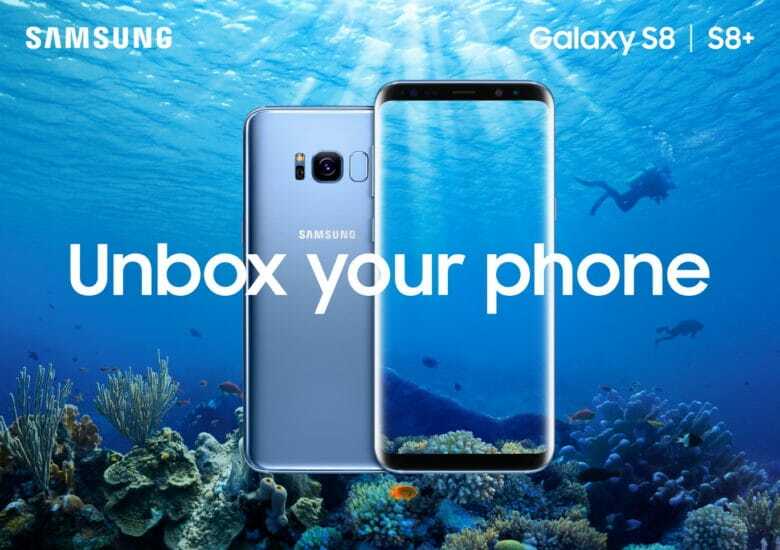 Other hardware specifications include a 3,000mAh battery in the Galaxy S8, a 3,500mAh battery in the Galaxy S8+, Bluetooth 5.0, wireless charging, and USB-C connectivity. When it comes to software, adopters can expect to get Android 7.0 Nougat right out of the box, and a much-improved Samsung interface that’s cleaner and more simplistic than ever before. Features like Samsung Pay continue to be available, alongside the new Bixby assistant. 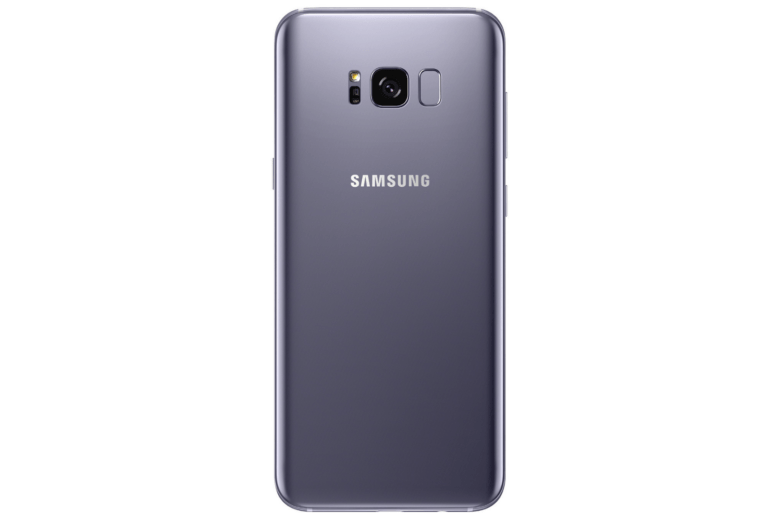 Galaxy S8 in orchid grey. Bixby is Samsung’s answer to Siri and the Google Assistant. 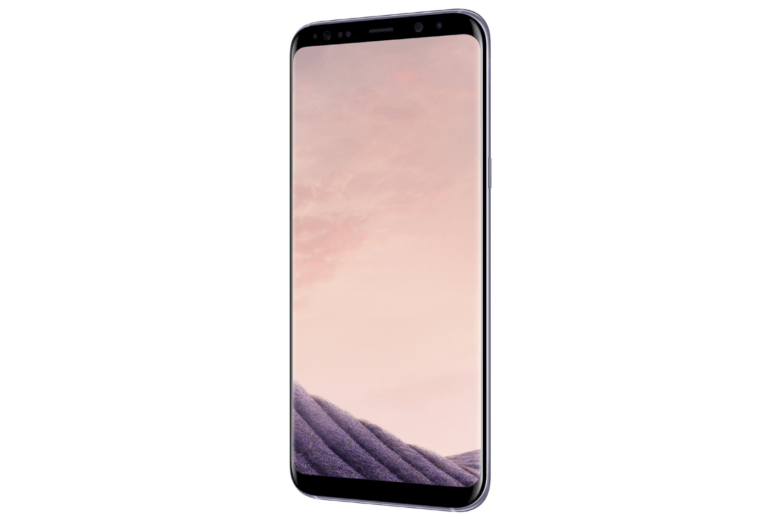 It not only fetches information and helps manage your schedule like its rivals, but it’s also capable of controlling the apps and features installed on your Galaxy S8. For instance, you can ask Bixby to carry out tasks like, “open the Weather Channel app and change my location to San Francisco, then give me a 7-day forecast.” It will then continue to do all that without you having to lay a finger on the screen. As if all this wasn’t enough, the Galaxy S8 and Galaxy S8+ are also compatible with DeX, Samsung’s exciting new docking station that lets you connect an external display, keyboard, and mouse and turn your handset into an Android-powered computer. All of the Android apps installed on your Galaxy S8 will be compatible with DeX, though only some will offer larger interfaces. Samsung has been working to get some developers on-board, with Adobe and Microsoft rolling out DeX-compatible apps. The iPhone had a fairly easy ride last year after the Galaxy Note 7 — which was shaping up to be by far the best phone of 2016 — was recalled and killed off. It helped the iPhone 7 and iPhone 7 Plus surpass expectations and reverse declining sales. But that won’t be the case this year. Apple’s competition is stronger than ever, and going head-to-head with the Galaxy S8 series will be a difficult task. As an iPhone fan, I’m hoping Apple takes note of Samsung’s announcement today and steps up its game for iPhone 8. The Galaxy S8 and Galaxy S8+ will go on sale around the world on April 21. Both will come bundled with AKG earbuds worth $99, and they’ll be available in midnight black, arctic silver, orchard grey, maple gold, and coral blue.